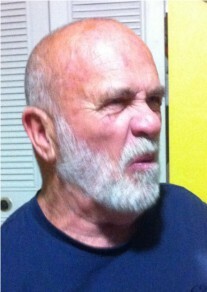 It is always fun to have a “Skull Session” with the Grizzled Ol’ Coach of FishDuck.com, my favorite, Coach Mike Morris. But this time he came with a notebook where he studied every play of the Oregon Spring Game and had some fun analysis themes to reveal over the spring and summer; but where do you start? There is so much on the offensive side to tally, yet the majority of questions coming to me were concerns about the defense. Are they improving? Will they be good enough? Do they have the basic techniques? Defense, by nature, is harder for people to understand because they have to know defensive concepts and techniques (hardly anyone does) and they can’t really see these little details in real-time at the game. It has to come from slow-motion review of plays and that is laborious for all. Most fans do not understand the importance of the smallest of details on the football field, such as hand placement, movement of hips, eye discipline and even what shoulder to attack. 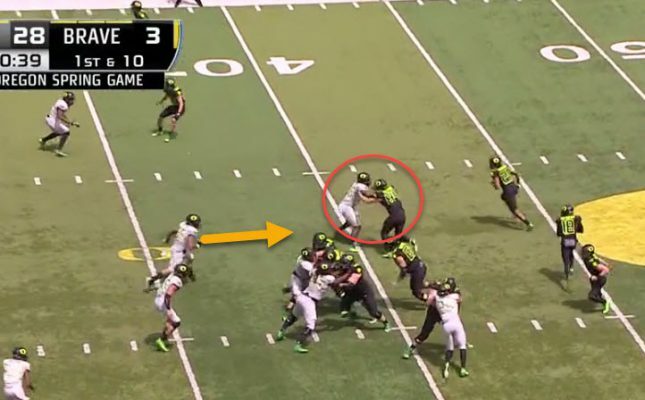 Last fall, I showed how an Oregon linebacker taking on the wrong shoulder either meant a Tackle-for-Loss, or a touchdown by the hated Huskies; thus, attacking the correct shoulder of the blocker is crucial for a linebacker to master. 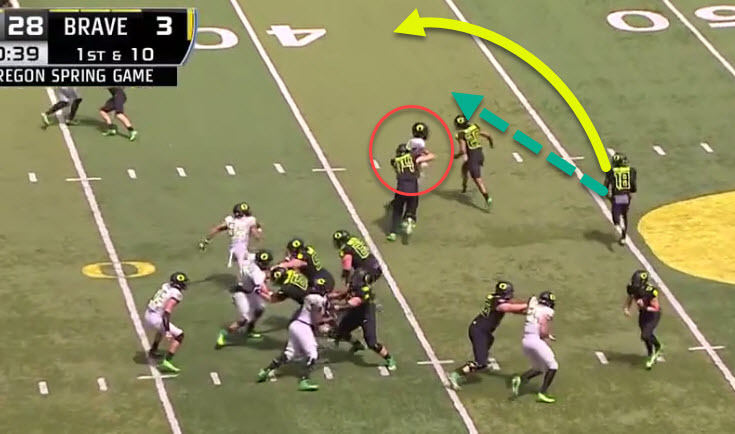 I have mentioned often how the Jet Sweep is an important part of the new Oregon arsenal of weapons, and it is a play that other opponents, such as the Beavers, like to run as well. 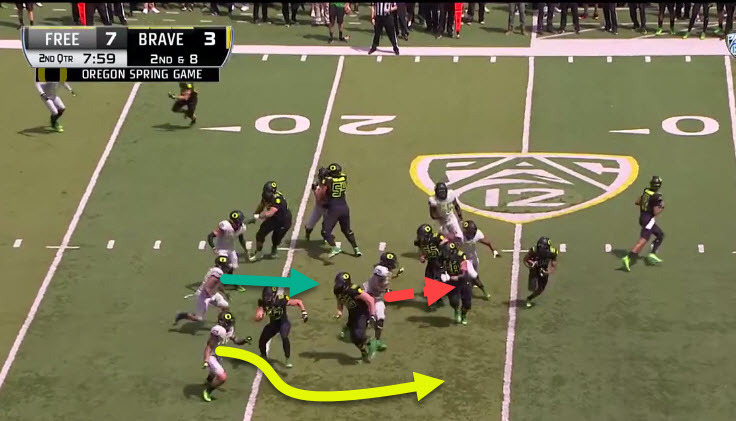 During the Oregon Spring Game, we noted a Jet Sweep featuring Charles Nelson, No. 18 (above) in the beginning stages. 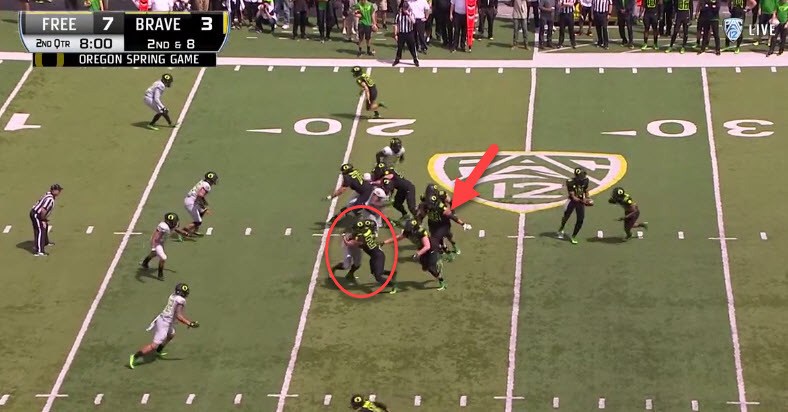 Inside the red circle is Bryson Young, No. 56 at linebacker, who is the contain defender for the perimeter. Young (above in red circle) has beaten his block and has already pushed the running path from the green dotted arrow, above, to the solid yellow arrow. By stringing this out, he buys time for additional defenders to help clean-up the play. Sure enough, Arrion Springs (above) identifies the play as well, beats his block and makes the final push out-of-bounds of Nelson to crush the Jet Sweep. The difference between a big play for the offense and a tackle-for-loss? The linebacker attacking the correct shoulder and maintaining proper technique to defeat the block. It seems pretty small, but these details mean everything to a defense! Great defensive technique and bad blocking = a busted play. The play above is a Sweep out of the Pistol formation with three pulling offensive linemen (red arrow above) and we will want to note three defenders above, as well. The first to note is Jonah Moi, No. 42, who is the closest to the bottom left of the defenders in light uniforms. He is the outside linebacker in charge of containing the perimeter, what some coaches call the Force defender. His job is to attack the leading blocker with his left arm (his inside arm) staying square to the LOS, and keeping his right arm free, turning everything back to the inside. George (red arrow above) is about to mess up two blockers at once (that were targeting Hotchkins) and set his teammates up for a sweet play. Moi (yellow arrow above) is in line for defending his perimeter as Breeland messes up the blocking path for the pulling guard, Shane Lemieux. It all begins with a bad block, but unless the defenders follow their keys and stick to their assignments and employ great technique, the play can be successful regardless. 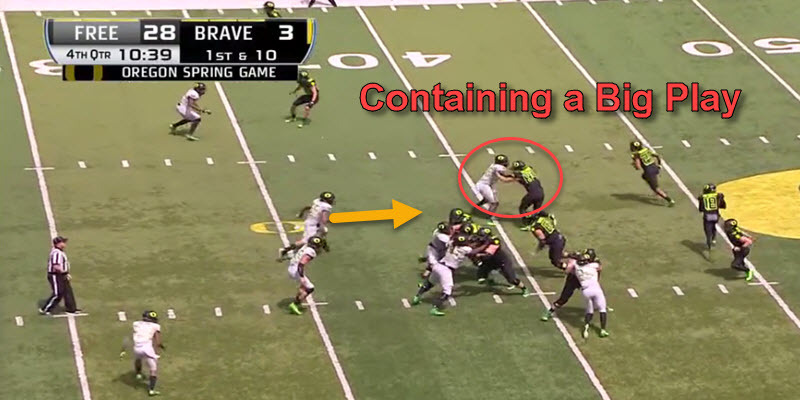 In this case, it is a fine example of how the players on defense for Oregon are much improved in the small details that prevent a great play. Normally, three pulling linemen would strike fear into the hearts of perimeter contain linebackers such as Moi, but the play of his teammates and the correct technique by all three made a great defensive play for Leavitt’s emerging defense. My thanks again to Coach Mike Morris for teaching me and the readers the basics of defense.